A strong growth is highlighted in the number of applications sent by enterprises to exhibit at LAMIERA, the international exhibition dedicated to the industry of sheet metal forming machine tools and to the innovative technologies related to the sector, onstage at fieramilano Rho, from 15 to 18 May 2019. “What we expect – stated Alfredo Mariotti, Director of the Exhibition – is to improve the outcome of 2017, which was already very positive, by further expanding and enhancing the event. For this purpose, we go on working on the traditional sectors: they represent the core of the exhibition and look very well-arranged, also because the Italian demand for machine tools is still very high and in 2019 it will confirm the results achieved in 2018, a record-breaking year for the sector”. “On the other hand, – added Alfredo Mariotti – the work will continue on the new innovation areas focused on robotics, IoT and consulting, which are fields having an increasingly strong impact and a deeper and deeper spread in the manufacturing factories”. In line with the extended transformation involving the whole world manufacturing industry, LAMIERA will present an offering of technologies for integrated factories, showing the best international product ranges with regard to stand-alone machines and complex systems and completing the exhibition with a comprehensive overview of automation systems, robotics (ROBOT PLANET), technologies linked with the digital world (FABBRICAFUTURA) and consulting (BOX CONSULTING). 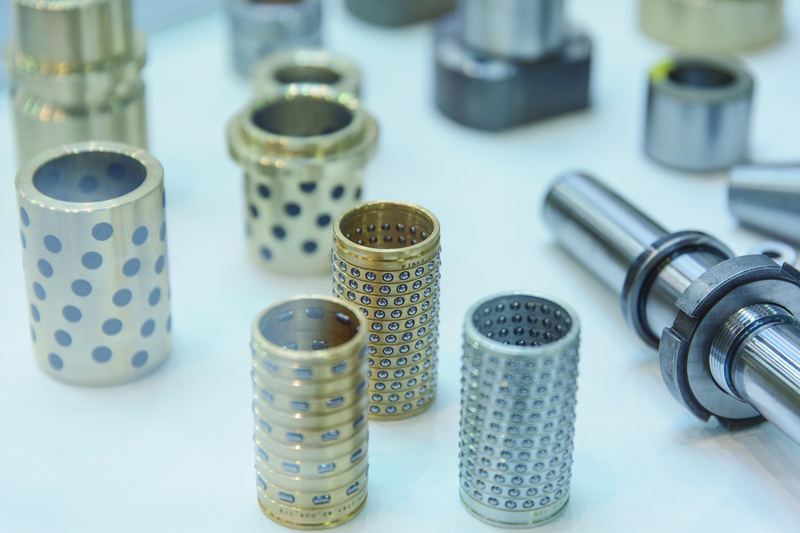 Machines, systems and equipment for the machining of sheet metal, tubes, sections, wire and metal structural work, presses, dies, welding, treatments and finishing, technical subcontracting and fasteners are just a few of the “traditional” technologies on show. In addition, there will be a wide and varied offering of robots, automation, enabling technologies and consulting. With such a large selection of products, LAMIERA is really the place where ideas can take shape, paraphrasing the slogan chosen for the 2019 edition. Promoted by UCIMU-SISTEMI PER PRODURRE, the Italian machine tools, robots and automation systems manufacturers’ association, and organised by CEU-CENTRO ESPOSIZIONI UCIMU, LAMIERA will combine the trade show of the sector with numerous initiatives of in-depth analysis and entertainment. In 2017, the exhibiting companies were 480, i.e. 25% more compared with the 2016 edition, with an occupied exhibit area of 40,000 square meter. The exhibition registered 23,579 visits, i.e. 15% more than those recorded a year before. The wide offering of product ranges on display will not be the only appeal for visitors. Indeed, LAMIERA will also propose the special initiative LAMIALAMIERA, a programme of in-depth meetings arranged by exhibitors and organisers, which will accompany the event throughout its length. Organized according to different themes, the meetings will last 20 minutes each and will be hosted in a special area, set up as a conference arena within one of the exhibition halls.